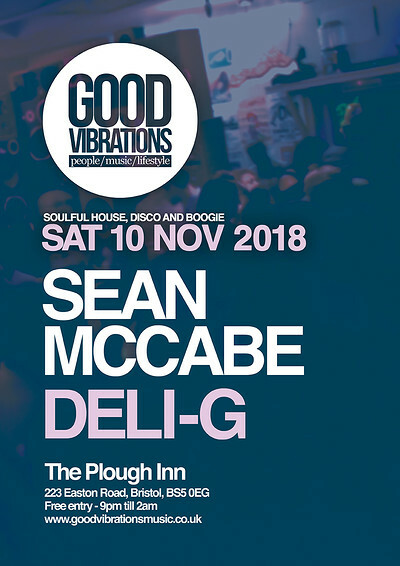 Good Vibrations brings you another night of the best in soul influenced dance music played by local legend Deli-G and renowned Bristol based producer Sean McCabe. Taking place at the Plough Inn, the place we call home, expect 5 hours of feel good house music mixed up with some disco and boogie. It’s free entry all night, so no need to buy a ticket. Just remember to arrive early. Playing soulful house, disco and boogie.